Special clinical interest in non invasive cardiac imaging and is a general cardiologist. 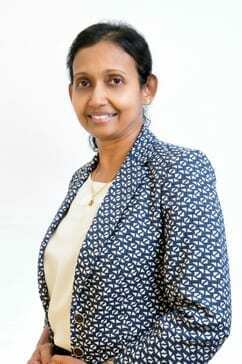 Graduating from the University of Colombo in Sri Lanka, Rajika received her FRACP in 2006 prior to undertaking further training in echocardiography at St Vincent’s Hospital and completing her specialist training in the UK and New Zealand. Rajika provides general consultation and specialist cardiac testing services at Mulgrave Private Hospital, and our GenesisCare Berwick, Lilydale and Balwyn rooms.